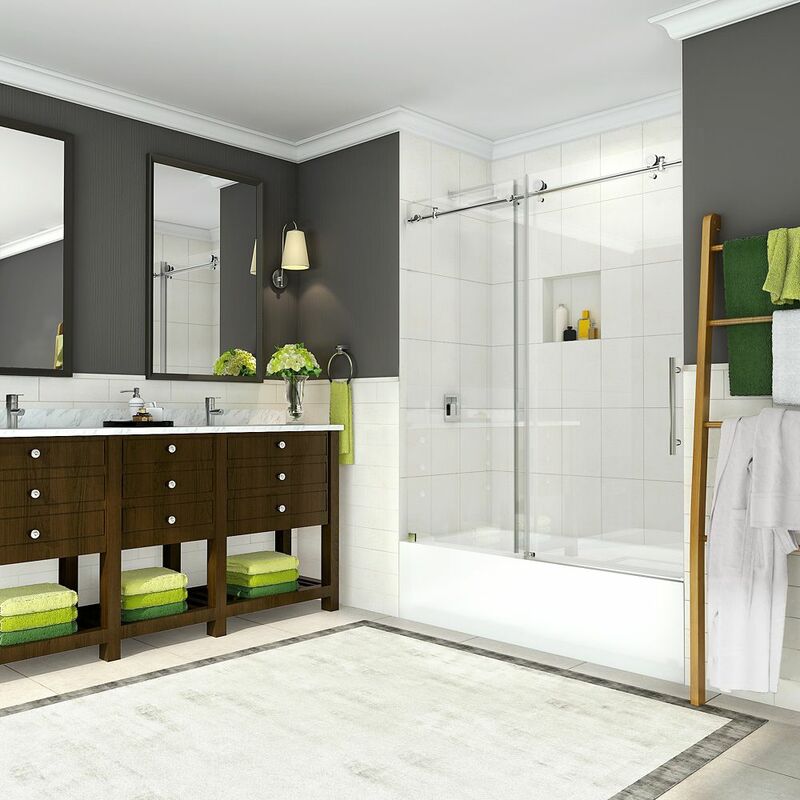 Coraline 56-inch to 60-inch x 60-inch Frameless Sliding Tub Door in Chrome is rated 4.8 out of 5 by 42. Rated 5 out of 5 by Patiocovers from This frameless shower door is very heavy duty and clean.... This frameless shower door is very heavy duty and clean. Installation is a two person job, directions a little complex so read them a couple of times to completely understand. Only one side moves so not set up for bathing small children but good quality and would buy again if ever needed.